What happens when you have a broken back? Well, it means a painful and long road to recovery however with determination and good medical treatment you can recover and lead a normal life. When I broke my back, I was living in London at the time and it was a wake up call. I needed to change my lifestyle and my mentality. Fortunately the ordeal is now a distant memory and I am stronger for it. This is the story about how I recovered from a broken back. I broke my back after falling from a two story building. My L1 bone, one of the central bones in the back, shattered into small fragments. Within 48 hours of being admitted to hospital I underwent CT and MRI scans, which showed an urgent situation: some of the pieces of bone were resting on the spinal cord, which meant there was a high probability I could be paralysed. When you have a broken back there are two recovery options. The first option is you can remain bed-bound in a brace until the bone heals well enough to support physical movement again, which is approximately six months. The advantage of this is you avoid any surgical complications, however you can suffer bed sores, extreme constipation and muscles wastage, and someone will need to feed, clean and care for you 24 hours a day. The second viable option is to have surgery, whereby titanium rods are inserted around the broken bone to stabilise and strengthen the area. The rods are strong enough to support physical movement and the broken bone can mend without affecting your mobility. The risks related to this option are typical surgical complications such as infection, nerve damage, or your body rejecting the titanium rods. I wanted to have surgery however with my touch-and-go situation there were few doctor’s that would operate on me. With the fragments of bone so delicately resting on the spine, just one wrong manoeuvre would mean I could never walk again. Fortunately Dr Arun Ranganathan, one of the best spinal surgeons in Europe, decided to take a chance on me. He led a team of 3 surgeons to perform a 10 hour surgery at the Royal London Hospital in Whitechapel, in the hope that I would be able to live a full and normal life. 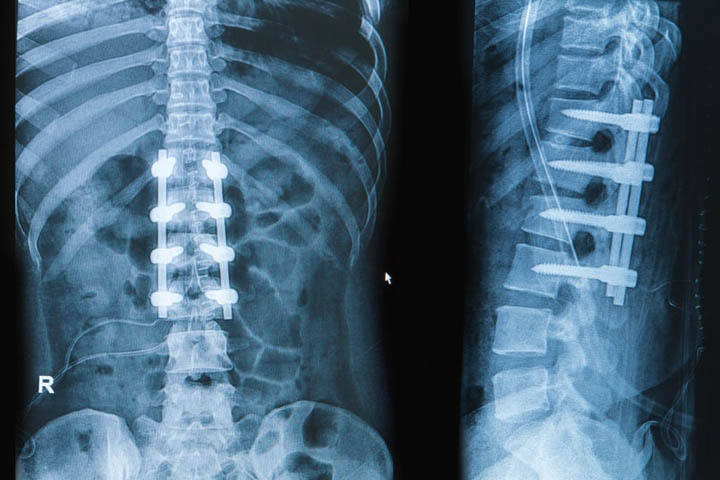 They cut 40cm lengthways into my back and inserted two long titanium rods with four screws to keep them in place. I remember when I first woke up from surgery. My body was extremely heavy, I could barely move and my right leg was completely numb. The nurse came and attached a self-service morphine drip to me so anytime I felt too much pain I could press a button to instantly administer the pain relief. I was concerned that I could not move much and a physiotherapist came by to assess me. First he tickled my feet to see if I could feel anything and then he moved his hands up and down my legs to check the level of sensation. It was very good news that I could feel something and my left leg responded normally to touch. However my right leg was numb. He then encouraged me to try and get out of bed. By this time, I had been lying flat on my back for almost 7 days and my muscles had wasted away considerably. Furthermore, during the operation the doctors had to cut through all the muscles in my lower back so they could operate and now my muscles were extremely weak. I had no strength. The best I could do was slowly sit up in bed, which took a lot of time and effort, and then go back to sleep again. Without the morphine I would not have been able to sleep because I was in a lot of pain. When you lie in the same position for a long time you become uncomfortable and as I had a broken back, I did not have the strength to turn onto my side. I was also located in the trauma ward along with other patients who were also in a lot of pain. Every night there was the constant sound of people crying and screaming. From observing the other patients, I was able to guess the reason why they were in hospital. There was an elderly lady in the bed next to me suffering from cancer. She could not move much and she never had any visitors, so she was angry and she would shout at the nurses and throw her food and drinks on the floor. In the evening she would scream obscenities. There was another elderly lady admitted because she was blind. She had been suffering from earaches before suddenly losing her sight. The doctor’s were very interested in her case and some students came to interview her for a study they were doing. This lady was almost 100 years old so all the nurses respected her a lot and called her “mama”. She was very sad that she couldn’t see anymore and she was always crying at night. There was another youngish lady with lots of make-up who had admitted herself because she had a hip injury. One day when she was leaving the pub she slipped and fell on the pavement outside, breaking her hip. She has had hip problems ever since and has sued the pub for a lot of money. She was always talking loudly on her phone and complaining rudely to the nurses for being so slow. Finally, there was the sweet lady in her 50s, who very carefully put her make-up on each morning before the nurses served breakfast. She experienced chronic pain in her legs and she had major surgery to correct it. She talked to her husband on the phone, but he never came to visit her because he was busy with work. She always tried to make lots of conversation with the nurses. On the third day after the operation the surgeons visited me to see how I was recovering with my broken back. At this point I had only managed to sit up in bed occasionally but I still hadn’t walked. Dr Ranganathan was disappointed and said that if I didn’t start walking immediately I would never walk again. Muscles start to waste away after approximately 8 hours of inertia, so it was crucial I began exercising. I was so scared because I barely had the strength to lift my head, but the two doctor’s physically pulled me out of bed and forced me to walk. There was a big strong male nurse working on the ward that day and they called him over to assist. I had three people holding on to me as I tried to make my first steps. Because I had been on so much morphine, after about 5 steps I had the urge to throw up and started to scream. The nurse was quick to react and he quickly grabbed a bin just in time. I then asked them to please remove the morphine drip from me because it was making me feel sick. The doctors instructed the nurses not to assist me anymore because I needed to learn how to walk. Up until now, I had been completely cared for. I was hooked up to a catheter, which collected all my urine, and in the morning the nurses would wet my limbs with a soapy sponge to clean me. They would also change my sheets daily, which was a huge drama involving five nurses rolling me from side to side as they put the clean sheets on. For the next few days, walking to the bathroom was my main form of exercise. It was very physically exhausting and I would need a nap afterwards. Gradually I began to gain more strength and after 5 days I was able to go for a short walk around the hospital. I suffered a great deal of pain, which was mostly due to muscle fatigue, but the only pain relief I took was paracetamol and diclofenic (similar to ibuprofen). After 10 days, the doctors decided I was well enough to go home. I went home in a mini cab with friends and family. Although my muscles ached and I had difficulty walking, I believed the worse was over. Little did I know that my nightmare had just begun. However on my first night home, I enjoyed a glass of bubbly and had a great sleep finally in my own bed. As I settled back into normal life with my broken back, there were only a few minor challenges at first. I had a large plaster covering my surgical scar that I could not get wet, and as I was also unable to balance on my own or lift my legs I could not shower. To clean myself, I would fill the hand basin with warm soapy water and use a wet hand cloth. Eventually I gained enough strength in my lower back to lift my legs high enough to get into the bath, which was more convenient for bathing. If I wanted to wash my hair I required assistance as I could not bend my neck or lift my arms up. Because of my broken back, I also struggled to lift objects or bend over and this made it difficult to do most household chores like sweeping, mopping or washing the dishes. If dropped something on the floor, which happened very often, I would need to wait for someone to pick it up for me. Three weeks after surgery I began hydrotherapy. These are special exercises done in the water with a personal therapist to increase muscle strength. 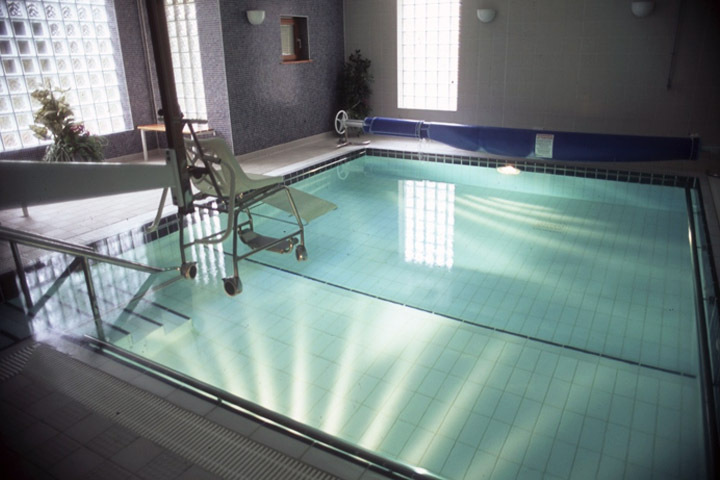 The swimming pool was heated and I felt as light as a feather in the warm water, which made it easier to move my body. At this time I had also returned to work part-time. I felt like things were going in the right direction as my walking improved rapidly day by day. The numbness I felt in my right leg was also going away, but in its place came a sharp pain. Initially the pain would only start around 7pm at night, radiating from my hip down my right leg. It was bearable at first so I didn’t worry too much about it, however each day it slowly became more painful. I consulted my hydrotherapist but she was unable to diagnose the cause and put it down to the fact I was not walking correctly. After 5 weeks of hydrotherapy I then moved on to land-based therapy. 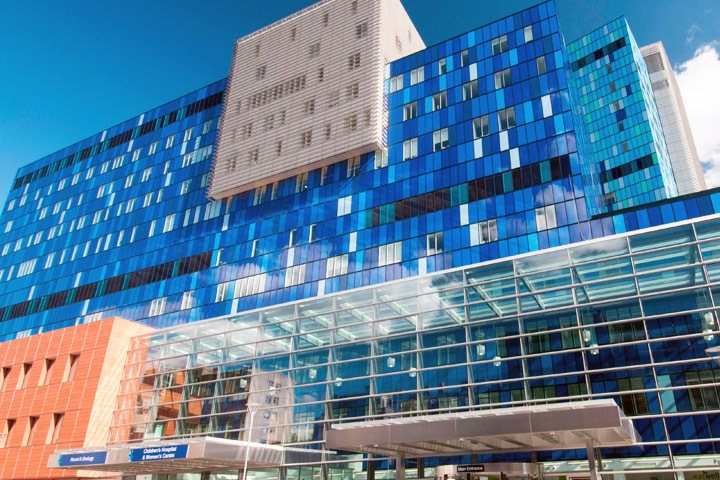 My physiotherapist was a young man called Adam who was the best therapist available at the Royal London Hospital. We did lots of exercises that strengthened the core muscle group as well as acupuncture. By this time the pain in my right leg had become considerably worse. Now the pain would begin at around 2pm in the afternoon and would get more severe as the day went on. The only relief from the pain was to lie down. I asked my physiotherapist what it could be, and he suggested it was possible nerve pain caused from inflammation and that exercise would help. As the pain became worse, Adam became more of a psychiatrist to me, as I would often cry in our sessions about the unexplained pain I was feeling. I also consulted one of the surgeons at the hospital who considered it to be fleeting and gave me Tramadol to help manage. Tramadol can be a dangerous and addictive drug, and I tried not to take it at first. However as each day passed the onset of pain would begin earlier and earlier and the intensity would increase. Months passed, with numerous doctor visits, MRI scans and X-rays. Nobody could explain the cause of the pain. I tried the nerve pain medication Gabapentin which had little effect on my situation despite taking it over the course of several weeks. My only source of relief was Tramadol and without it I could no longer walk or put any pressure whatsoever on my leg due to the level of pain I was experiencing. I became desperate for some answers to my problem so I decided to explore other solutions on the Internet. I came across a chiropractic website that advertised the activator method for treating nerve pain that I decided to trail. The owner of the clinic was a friendly blonde woman who treated me. Over the course of several weeks she tried many different techniques on my broken back including acupuncture, the activator gun, back manipulations, block techniques, stretching and even cracking my neck. It did not work but rather it started to cause additional back pain, which I hadn’t experienced since my recovery from surgery. The lady said that in all her career she never had a patient she was unable to heal and she became desperate in her attempt to fix me that she even started to hurt me. After a long wait, I had a follow up appointment with Dr Ranganathan, the surgeon who performed the surgery on me, about my broken back. After studying my X-rays and MRI scans he said that theoretically there should be no problem. The bone was healing nicely and the metal rods appeared to be in exactly the right place. He said the only way to see precisely what was wrong would be to have a CT scan, which produces images with a lot more detail. However as CT scans expose the patient to 20 times more radiation than a regular X-ray, I would not be able to have children for several years afterwards as there would be a high risk of an abnormal birth. Dr Ranganathan understood that a CT scan was not idea, and he even persuaded me not to have it. Instead he made a diagnosis based on my symptoms and a physical examination. He concluded that the metal rods on the right hand side of my spine were either trapping or rubbing against a nerve thus producing severe nerve pain throughout my right leg. It also explained why the pain was aggravated by any type of movement such as walking, turning or sitting. The only solution would be to remove the metal rods once the bone has healed. It takes approximately 18 months for the broken bones in your back to heal. Damaged nerves repair at a standard rate of 1mm per week. Despite the seemingly long road to recovery, I was relieved to hear Dr Ranganathan’s diagnosis as it finally provided me with clarity. Up until that point I had been suffering for months without any idea of what was causing the pain or if it would ever go away. When I told people that my leg was sore, they thought I was exaggerating and told me to just take some paracetamol and get on with it. Nobody could understand. Nerve pain is one of the severest types of pain and it felt like a constant stabbing in my knee by a thick metal pole coupled with a constant sharp ache in my hip that radiated down the top of my thigh. When I stepped down on my leg, all of the pain intensified by twenty. I developed a good program for dealing with the pain in order to live a normal lifestyle. Exercise made the greatest improvement to my quality of life and I went to the gym every second day to use the cardio machines targeting the core muscle group as well as do pilates and yoga classes. Strengthening my core relieved the pressure on my lower back. I also stopped drinking alcohol, as it did not mix well wit the pain medication, and I went to bed early as sleep proved the most effective pain relief method. Most importantly I maintained a positive and forward thinking mentality, which helped me survive my broken back. A two storey building? Wow, that’s pretty high but I’m glad you’re recovered now. If I’m not mistaken L1 is in your lumbar area! I can only imagine the pain you had to go through as you were going through everything. Good on you that you were able to develop a mindset that helped you ease through the pain better. The mind is a powerful tool!